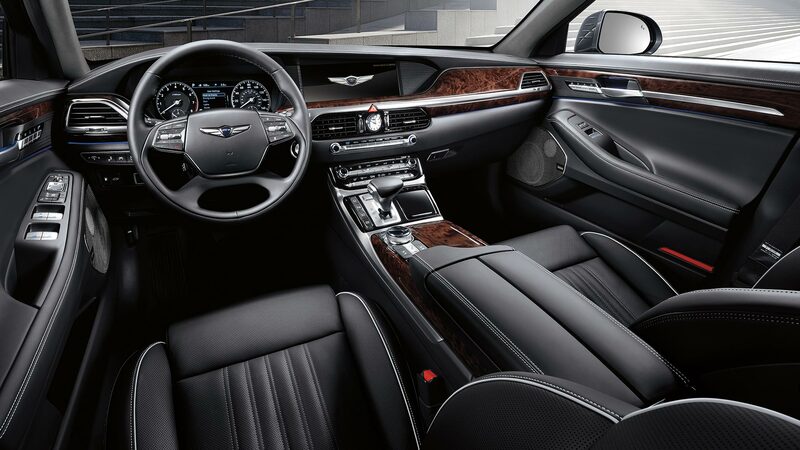 The 2018 Genesis G90 has a spacious and well-designed interior along with a smooth and quiet ride creating a luxury level sedan! 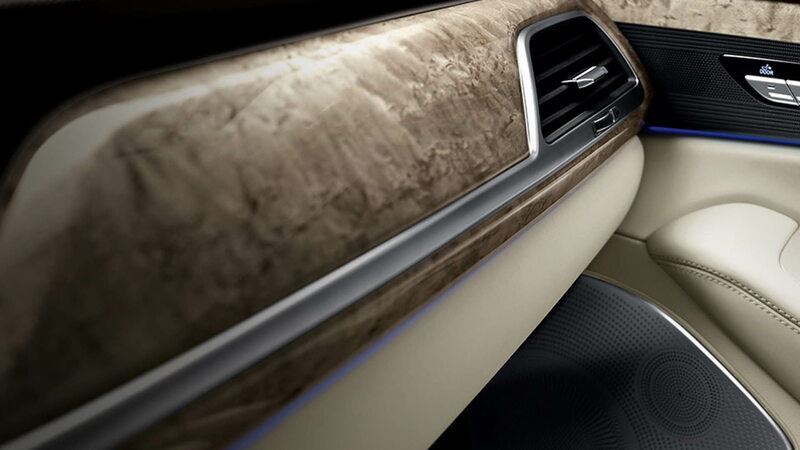 There are a ton of interior and exterior features available to create the perfect G90 for you and all your needs! 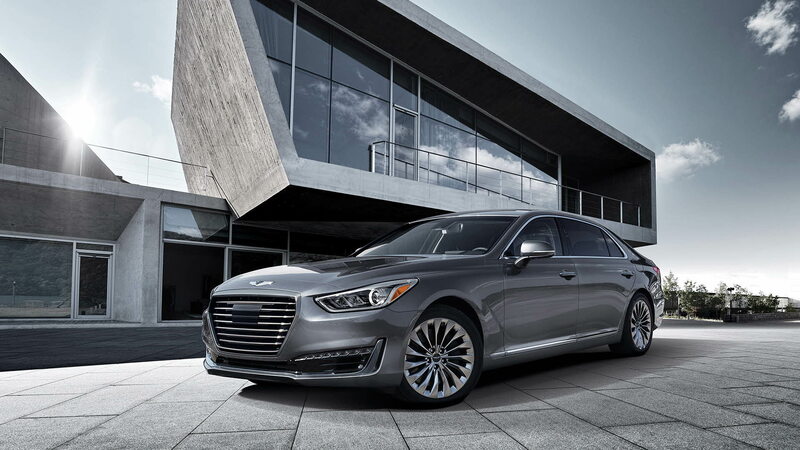 Check out the rest of our 2018 Genesis G90 review to learn more! What type of features does each 2018 G90 trim level offer? 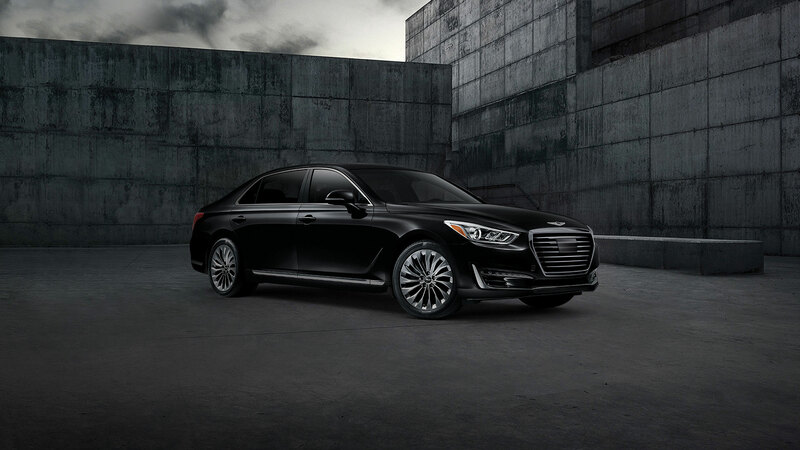 The Genesis G90 is offered in two trim levels for the 2018 model year! The base 3.3T Premium model comes loaded with amazing standard exterior features including keyless entry and ignition, auto-dimming mirrors, adaptive cruise control, adaptive suspension, a hands-free power trunk, soft-close doors, power-folding and heated mirrors, LED running lights, automatic adaptive LED headlights, and 19-inch wheels. 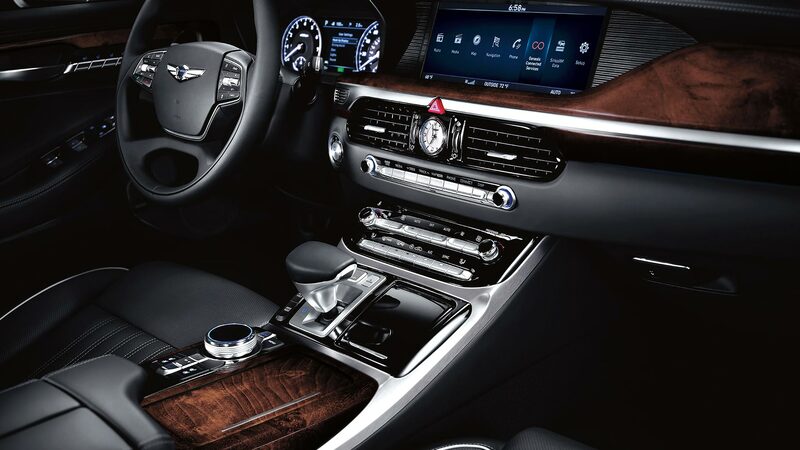 Standard interior features include a 17-speaker Lexicon premium surround-sound system, a CD and DVD player in the glovebox, HD and satellite radio, navigation voice controls, Bluetooth, and a 12.3-inch screen. As well as front and back USB ports, a wireless charging pad, rear seat audio and climate controls, rear window power sunshades, adjustable interior ambient lighting, wood interior trim, power adjustable and heated steering wheel, front seat memory settings, heated and ventilated front seats, automatic tri-zone climate control, leather upholstery, heads-up display, and a 22-way power adjustable drivers seat. Take a step up to the 5.0 Ultimate model and you gain power adjusting rear seats with memory functions and ventilation and an upgraded rear entertainment system with two 10.3-inch HD screens! What kind of engine is each model powered by? There are two engines available for the 2018 Genesis G90s. The 3.3T Premium model is powered by a Lambda 3.3-liter twin-turbo GDI V6 engine that delivers 365 horsepower and 376 pound-feet of torque. This engine is estimated to get 24 mpg on the highway with RWD and available AWD! An eight-speed automatic transmission with SHIFTRONIC and paddle shifters is the match to this engine. The 5.0 Ultimate model gets a TAU 5.0-liter GDI V8 engine that generates 420 horsepower and 383 pound-feet of torque and an eight-speed electronic transmission with paddle shifters. With this engine, you can get 24 mpg on the highway with RWD and 23 mpg with AWD. Both models are equipped with an adaptive control suspension that reinforces steering stability when the road conditions are inconsistent providing a smooth ride at all speeds! What kind of safety features does a G90 come equipped with? 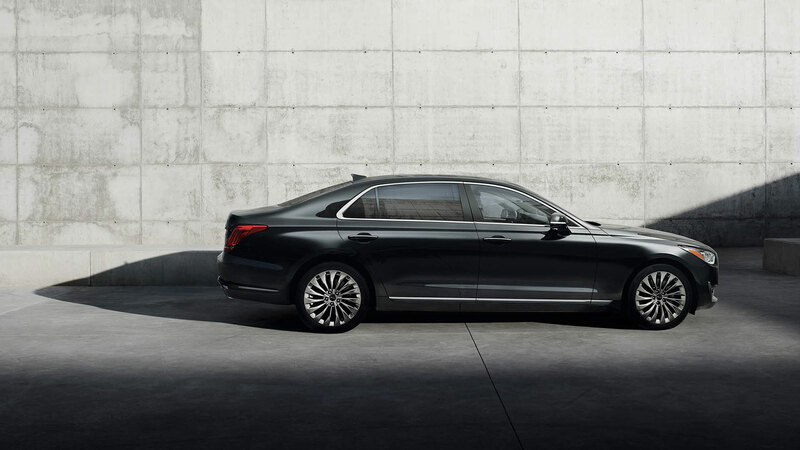 Genesis has equipped both the G90 models with loads of safety features for the 2018 model year! Standard safety features for both models include driver attention alert, smart blind spot detection, lane keep assist, front and rear parking sensors, automatic emergency braking with pedestrian detection, brake assist, ABS, electronic stability control with traction control, and 4-wheel disc brakes. As well as nine airbags, a rearview camera, a tire pressure monitoring system, electronic parking brake with automatic vehicle hold, energy absorbing front seats, and so much more! 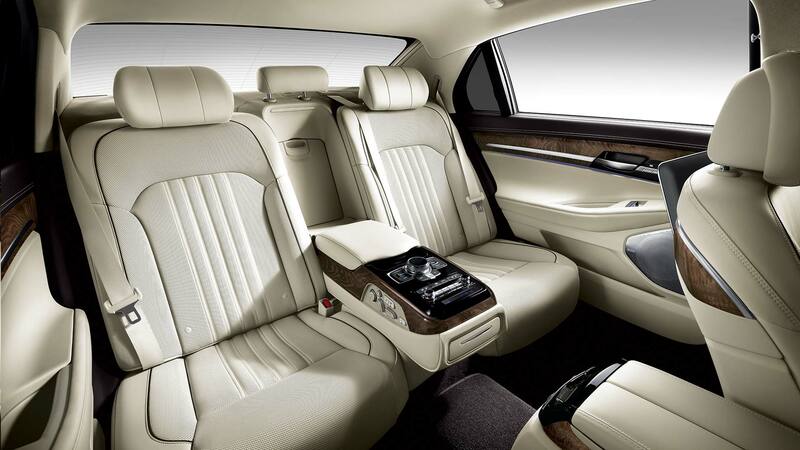 The 2018 Genesis G90 offers the best of the best when it comes to luxury sedans! 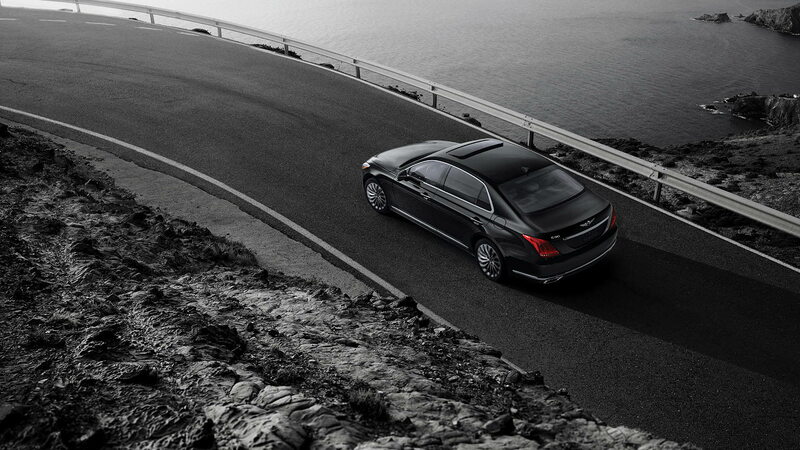 There are safety and technology features for every passenger, even great fuel economy! 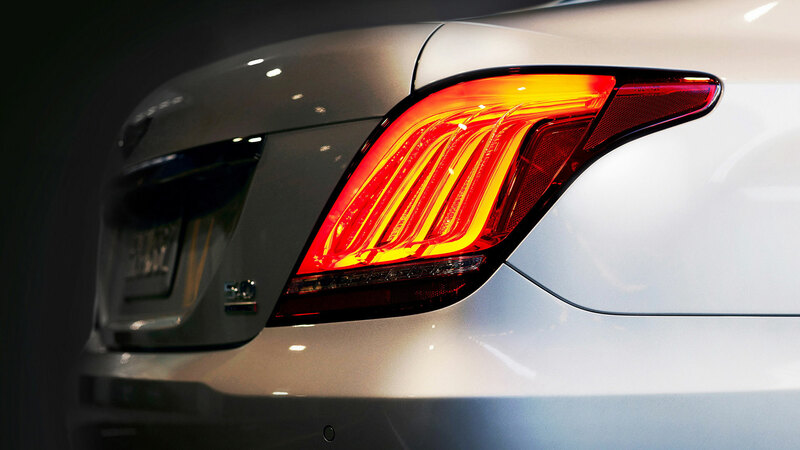 Come into Genesis of North Atlanta today to test a G90 out on the road for yourself!